Watch highlights as Dominic Thiem defeats Roger Federer in the 2019 BNP Paribas Open final to lift his first ATP Masters 1000 trophy. 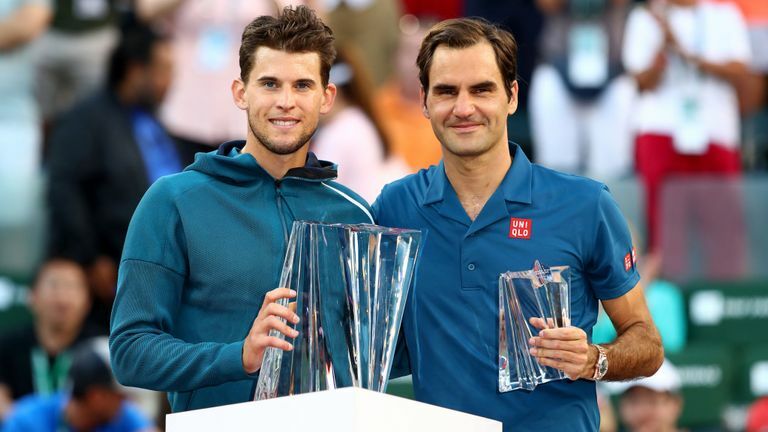 Dominic Thiem claimed his first Masters 1000 title after coming from a set down to defeat Roger Federer 3-6 6-3 7-5 and win the BNP Paribas Open in Indian Wells. 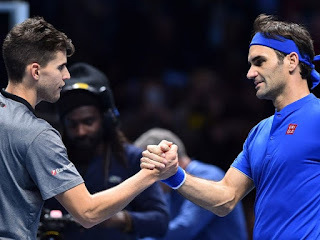 Momentum swung in Thiem's favor in the deciding set when he smacked a forehand winner down the line to break Federer and take a 6-5 lead. Dominic Thiem reached the semifinals at Indian Wells Masters without hitting a ball as injured Gael Monfils withdrew. Monfils pulled out shortly before his scheduled quarter-final against Thiem with left Achilles tendon trouble. 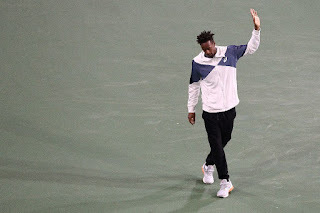 Oft-injured Monfils said he'd felt discomfort in his ankle for a couple of days and had been receiving treatment, but the pain was worse after his fourth-round win over Philipp Kohlschreiber on Wednesday night. A night to remember - Dominic Thiem talks about his epic match against Rafael Nadal. 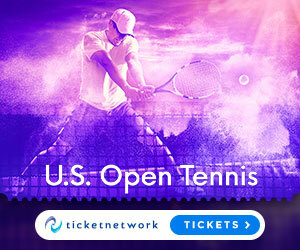 Dominic Thiem advanced in his first round matchup vs. Mirza Bašić on Grandstand, looking to earn his first Grand Slam title. Andrey Rublev, Dominic Thiem, Marin Cilic and David Goffin take up the ATP Art Challenge and draw a self portrait. Who's is best? Watch highlights as Roberto Bautista Agut survives an upset-filled Wednesday at the Gerry Weber Open in Halle. Watch as Dominic Thiem threads the needle with a running forehand passing shot to extend his Gerry Weber Open second-round match against Japan's Yuichi Sugita. 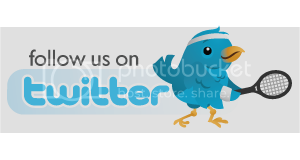 Dominic Thiem, Roberto Bautista Agut and Kei Nishikori all came through their first-round matches at the Gerry Weber Open on Monday. The third-seeded Thiem hit 19 aces as he defeated Russian qualifier Mikhail Youzhny 7-6 (5), 6-2 for a second-round meeting with Yuichi Sugita. 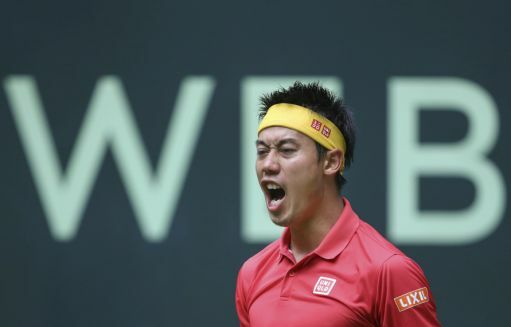 The 52nd-ranked Japanese player defeated German wild card Maximilian Marterer 6-4, 5-7, 6-3. Watch highlights as Dominic Thiem and Kei Nishikori advance on Monday at the Gerry Weber Open in Halle. Watch Dominic Thiem drill a backhand passing shot for a winner against Mikhail Youzhny in the first round of the 2018 Gerry Weber Open. Watch Roland Garros finalist Dominic Thiem look ahead to the 2018 Gerry Weber Open, which is his first grass-court event this season.